Set in a period of great social unrest, this novel explores the various rivalries acted out between Royalist and Parliamentarian factions in 17th Century Britain. The real-life historical figure of Elizabeth Murray serves as the novels central protagonist; Countess Dysart and Duchess of Lauderdale, she inhabited Ham House, a Jacobean mansion built on the River Thames at Petersham. 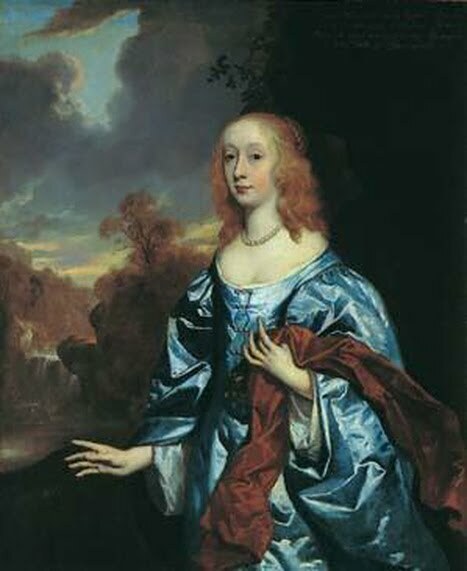 Throughout the reigns of Charles I, Charles II, James II, William and Mary, she became deeply embroiled in the politics of the Civil War. Wielding a great deal of influence due to her elevated position, and partaking in her fair share of adventure, she found herself right at the heart of the action. It is into this, which we are thrust, as Anita Seymour takes us on a breathtaking ride through the landscape of a divided England. Royalist Rebel is a biographical novel about the tumultuous life of Elizabeth Murray, the Countess of Dysart, and later, the Duchess of Lauderdale. Born into a noble family and staunchly loyal to King Charles, their livelihood is threatened and daily life turns perilous when civil war breaks out. Elizabeth’s royalist father works secretly for his monarch while the women of the family suffer sanctions and live in near destitution in Ham House. Rebels are everywhere and they are under constant suspicion. Faced with difficult decisions and torn between duty and love, Elizabeth strives to do what is best for those she loves. Written in first person present tense, the feeling that you get when reading the novel is one of immediacy and clarity. Elizabeth’s character is beautifully depicted with all her virtues as well as her faults. This is due to the fact that Anita Seymour lived near Ham House and walked its corridors, its garden, its pathways. Her first hand knowledge of the scenery, décor, and locale make the story extra sharp with detail, lending it great credibility. I believe that behind every great woman is a great man. In Elizabeth’s case, two great men – Baronet Lionel Tollemache, her loving husband of several decades, and her true love, John Maitland, Duke of Lauderdale. Both men are depicted insightfully through Elizabeth’s eyes. Extremely well-rounded characters and their individual dreams, ambitions, and plights pepper each page of this fascinating novel. Most importantly of all, King Charles’ execution is written with poignancy and respect, and remains one of my favourite parts of the book. 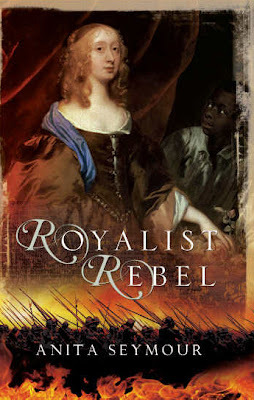 Royalist Rebel is a novel of survival in desperate times and the ability of one one woman to overcome adversity in a period when women had little rights and were nothing more than chattel. A beautiful story with eloquent prose that truly brings the era to life! Historical fiction at its very best.